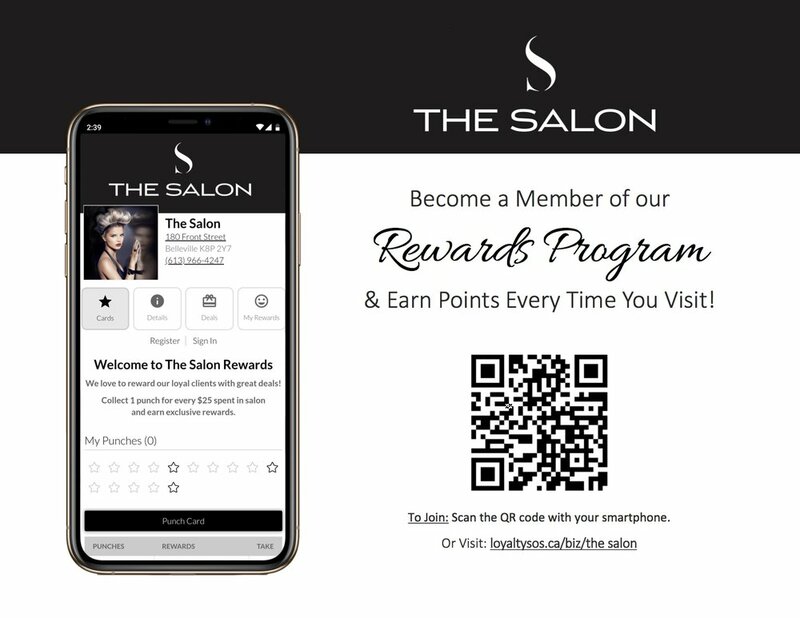 Join Our New The Salon Rewards Program! We are excited to announce our new rewards program is here! We love to reward our loyal clients with great deals! You can choose to redeem starting at just 10 punches or continue to save punches to reach the next reward level. Save up to reach 30 punches and you can take $50 off your salon bill! By registering for our rewards program, you are also eligible to receive additional deals and special offers, over and above the rewards that you can earn by collecting punches. The first time you visit our app you'll need to REGISTER. You sign up using your email or mobile number, plus your name and birth date. This information is never shared and always kept confidential. Once you are logged in, you are taken to the CARDS tab (this is the home screen). There are 4 tabs on the app: CARDS, DETAILS, DEALS, and MY REWARDS. Show your app at the front desk after your service.